At Breast Cancer Action, we have been standing up to the cancer industry since our founding, 26 years ago. 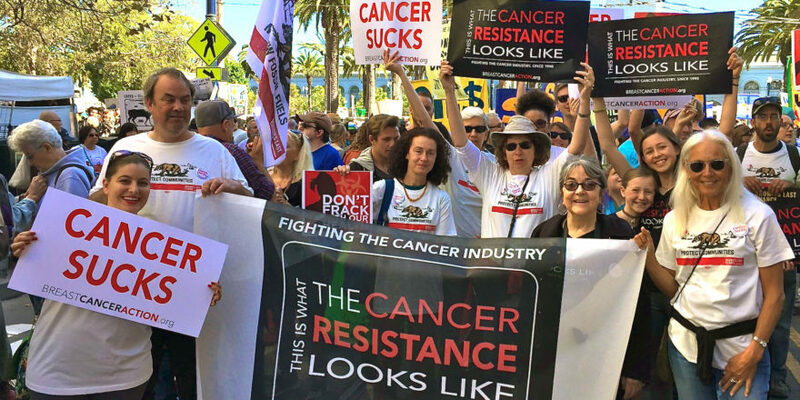 Our ability to stand up to corporate polluters and profiteers depends on YOU! While Komen gets money from pinkwasher Ford and the American Cancer Society cashes checks from Pfizer, we refuse funding from corporations that profit from breast cancer. That means people like you make our independent work possible. 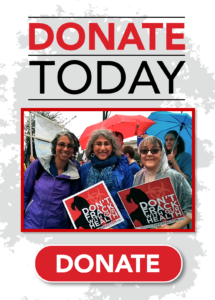 Will you give $25 or more today? Raising money from individuals is a lot harder than being bankrolled by large industries, trust us, we’ve been doing it for 26 years. But it’s the only way to demand the system wide changes necessary to fully address and end the breast cancer epidemic. It’s the only way that we can put women first. BCAction has no giant pinkwashing corporations bankrolling us. And we have 5 days to meet our goal of $10,000. Please give today so we can continue to work on behalf of all women living with and at risk of breast cancer. Your generous support is at the heart of Breast Cancer Action’s independence. We can’t do this without you.